Established in 1980, WORTHINGTON A.C. INC. has extensive knowledgeable and experienced specializing in the competitive and prompt supply of replacement parts and refrigerant compressors for all types of Commercial and Industrial air conditioning and refrigeration equipment. In addition to WORTHINGTON A.C. knowledge in the hard to find parts we are also authorized "factory" distributor of genuine OEM parts for all WORTHINGTON-CLIMATROL, FEDDERS, and CHRYSLER-AIRTEMP Applied Systems and Industrial AC&R equipment (ie. air and water cooled Reciprocating Package Chillers, Condensing Units, Centrifugals, Compressors, etc.). WORTHINGTON A.C. is also the authorized distributor of genuine OEM parts for WORTHINGTON Double-Pipe Dewaxing Chillers and a supplier WORTHINGTON Steam-Jet Ejectors as well as a supplier of competitively priced replacement parts for other Commercial AC&R equipment (ie. CARRIER, COPELAND, DUNHAM BUSH, TECUMSEH, TRANE, WHITE-WESTINGHOUSE, YORK, etc.). 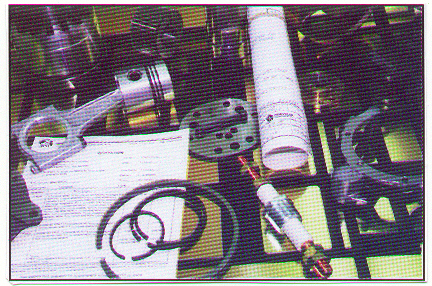 In addition, Worthington A.C. is the number one source for obsolete and hard to get parts for manufactures.